When I started this site, I promised I had a book in the works . After sitting on a halfway complete version for a a year, I decided to update it and turn it into a full-fledged guide to buying your own home theater. There’s a complete step-by-step method for buying everything you need for a home theater. Once you finish reading this book, you’ll have all the tools you will need to buy a home theater. In an effort to stay focused on the needs of someone new to the field of home theater, this doesn’t dive into detailed nuance on the various differences between common parts. You won’t see an explanation of Type AB versus Type D amplifiers, or an analysis of different tweeter types. What you will get is enough information to make good decisions. If you follow the steps in my book, you won’t overspend on any one item, or get something you don’t need. You won’t buy something that is overpriced and underperforming. The case studies will show you how I arrived at great systems on a small budget for $1000 and a projector based system for just $3000. Check out those two lists. 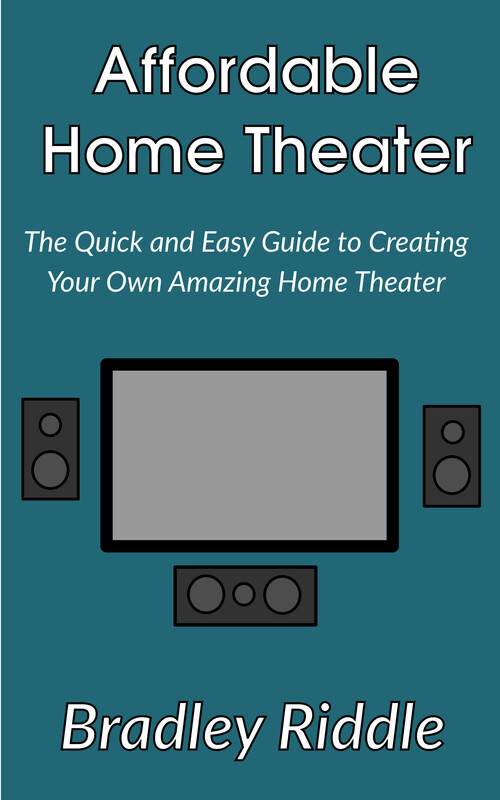 If you want to know how to plan out a home theater with a fixed budget in a half hour like I did, you will want to read the book. Take a look at Affordable Home Theater today on Amazon, and learn to create your own awesome home theater in an hour. I don’t think anyone who has read through this website thinks there is any doubt I believe buying a soundbar is a bad decision. I’ve explained, at length, in the past why a soundbar isn’t conducive to quality audio. But despite my pleading, the widespread interest in soundbars continues unabated. So I decided to find a soundbar that I could test and see how it stacked up against some of the cheap speakers that I’ve reviewed. I decided to go with the 38″ Vizio soundbar as it is currently the best seller on Amazon for soundbars. It is the sound bar that comes with the Vizio SB3821 and Vizio SB3851. If anything represents the zeitgeist on home theater audio today, this is it. As promised, its much sleeker than a regular pair of bookshelf speakers. It is even smaller than a pair of Micca Covo-S mini speakers. One thing that is very important to me at Affordable Home Audio is that when I talk about speakers, I try and do so from as informed a position as possible. Within monetary restrictions, I talk about speakers which I can hold in my hands and test myself. An important part of any discussion of speakers is speaker measurements. There were many techniques developed years ago for making engineering measurements of speakers. Gated sine, white noise response, all sorts of things made it possible to understand both frequency, temporal, linear and non-linear aspects of audio equipment. These techniques necessitate the use of either very large spaces, like your backyard, or a very expensive anechoic room, in order to perform. Reflections in the room make it impossible to analyze speakers using these traditional techniques. Most businesses focusing in audio (the company I work for included), and university labs have an anechoic room for acoustic testing. Below is a great example of an anechoic chamber, made by Paradigm Audio.